It is the era of innovation and developing immersive technologies are one of the outcomes of it. Artificial intelligence has been around for quite a long time now. It is now getting popular with each passing day as more and more real world applications are being developed. The immersive and responsive environment are now being created using virtual and augmented reality and made available to the users to entertain and educate them. Interactive media and interactive art comprise those systems which can simulate a real world environment and let the user interact with the objects of the environment using the gestures and body movements. You must have come across such games where you play tennis with hand gestures, i.e. when you move your hand to play a shot; a shot is played in the game. The technology that is used in these games has now been refined and is able to provide a user experience which is truly amazing. The applications of interactive media are not just confined to entertainment and gaming but also spans education and utility. How interactive media and interactive art redefine the user interaction with the systems? You can very well imagine, how cost efficient it could be to train the drivers of buses and trains on responsive AR and VR environments rather than on actual vehicles. The applications are many and it all depends on how well we can utilise the technology. There are many players who are working diligently on the innovation and coming up with products like Donor recognition wall and displays, interactive bar top tables and wayfinders etc. Such products and the innovation that has got into it is manifestation of the fact that interactive and immersive technologies have come of age. Body and gesture driven games to Multi-touch table displays, all these innovations are here to stay and offer unmatched user experience. 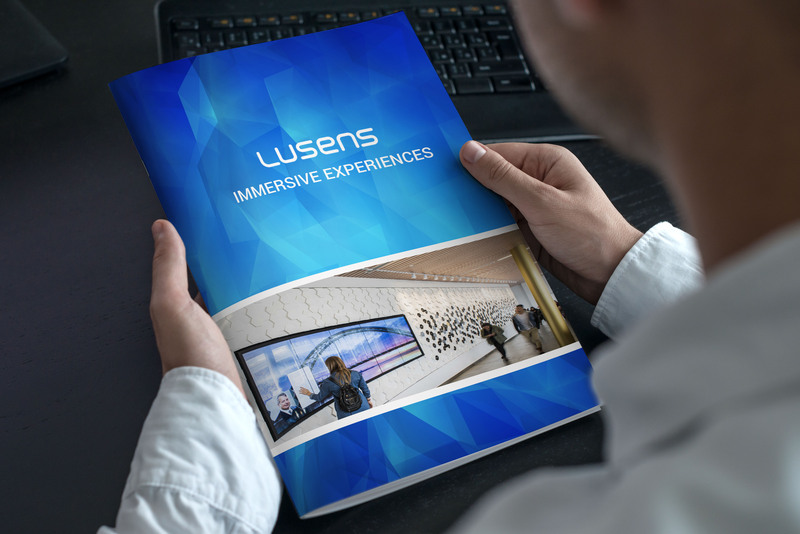 Through products like interactive windows and interactive floor systems, immersive environment technologies offer the users immersive exhibits that are practical as well as highly engaging. The technology is redefining the way users can interact with the systems which is more natural and is based on touch, body movements and gestures. Such interactions with the machine make the entire experience more intuitive, engaging and memorable. Combining the best of technologies and visual art is the best way for you to provide an amazing and unmatched user experience. How can you make your brand more engaging? The key to being more appealing to your audience lies in convincing them that they are a part of your world, just as much as you are a part of theirs. Make them realize that they benefit from your service, and find value. Once this has been accomplished, it is time to form a personal connection and show to them that you are not just some faceless corporation, but rather a group of highly motivated people just like they are. A brand or product story is a great way to do so, and an immersive environment lets you do just that!